I happened to visit some places in coastal areas. In one of the villages, we were standing in front of a temple. We completed our tour of the shrine and were waiting for others from to catch up with us. Just then an old man approached us carrying some packets. He was selling a confectionery known in Andhra as Jeedi (singular) or Jeellu(plural). At once I was reminded of my child hood days. In those days, we did not have so many varieties of chocolates, biscuits or other confectionery goods. When ever a child cried, it was given some home made snacks or goodies. Mostly it was a small lump of jaggery. Which child does not like sweets? There were so many varieties made at home. Buying from out side was frowned upon. It was an insult to the lady or ladies of the house. The Jeedi I am talking about is made from Jaggery syrup. Jaggery is made into a very thick syrup. Jaggery is mixed with water till it dissolves and cooked on low fire until a thick syrup is got. It is made into balls or cubes or what ever shape one likes. When hardens, it can be eaten. It is very sticky or rather chewy and sticks to the teeth when eaten. I don't know how to describe it. Perhaps, it is like chewy toffee or chewy candy. These are simple Jeedi. There is a saying or rather a simile in Telugu which means as sticky as the syrup made for Jeedi. When a person is troubling some one and does not leave easily despite best of efforts, this simile is used to say he is as sticky as the syrup made for jeedi and is not leaving. These are rolled in roasted sesame to make Nuvvu Jeedi. I don't have them right now. I will try to post a picture of them if I get hold of some. Both these varieties could be made at home or could be bought from the corner shops. These were also quite popular with children and were sold very cheap- one per 5 paise or so depending on the size of the candy. In North India these sesame confectionery is made with sugar and rose essence is added. It is not chewy like the one I described above. It is very delicate and tasty one. But the jeedi made of jaggery are now almost extinct. These days children go for pizzas, burgers, chips and other snacks. Locally made candies or confectioneries have disappeared. I was so surprised, but bought a pack doubting how they would taste. When we came back to where we were staying, we all had a go at them. they tasted just like I had as a child. I searched the market for more but found none. So I took back the few that were left so that my niece could also know about it. they were indeed nutritious too. 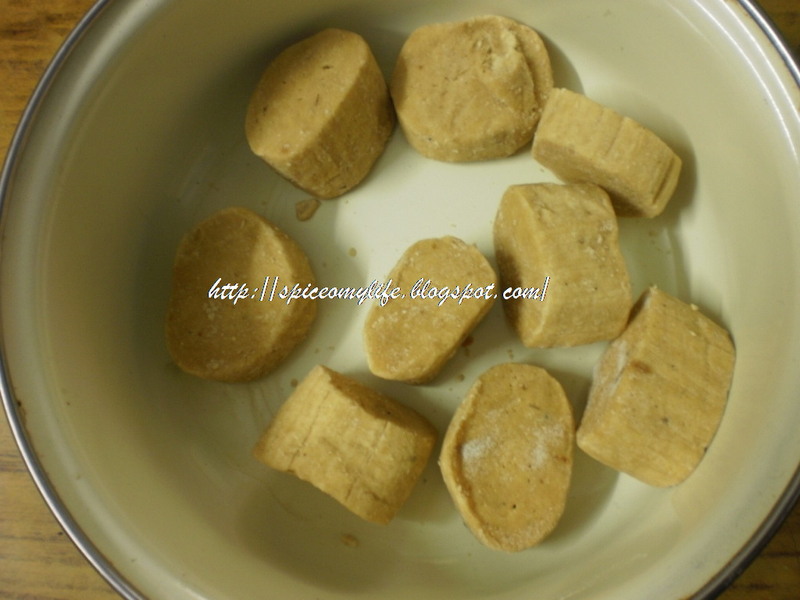 Jaggery contains a high amount of iron which is highly helpful for the body.